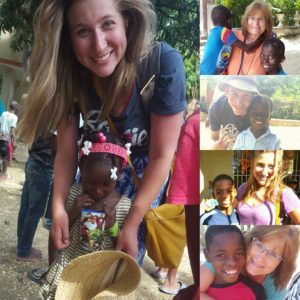 When my two youngest kids came back from their first mission trip to Fond Blanc, they were full of love for and stories about several of the children they met. I asked each of them to pick one child a piece who we could sponsor. Together they picked five! How could I say no when they loved them so much? Sponsoring these children is such a joy as we think of them getting enough food to eat and going to school. I visited Fond Blanc this summer along with my kids and it was amazing to see the bond they had with each of our sponsored children (as well as many we don’t sponsor). 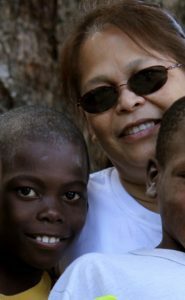 Going to Fond Blanc is like going home, and our sponsored children are the people we go home to! I am sponsoring James, Benamy, Denos, and Wendy because I want to help make a difference in their lives and give them some hope. They are all precious kids and I wish I could do more for them.